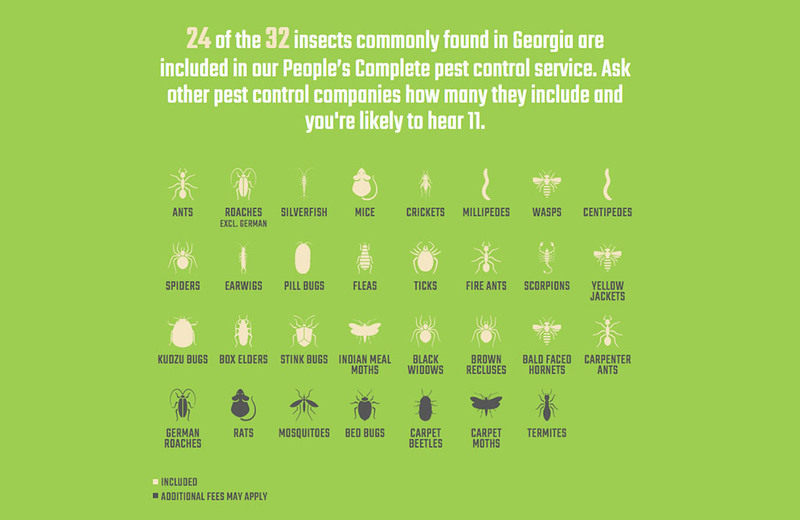 People’s Pest Control is a local Atlanta small business. As you can tell from their logo, they don’t take themselves too seriously and encouraged us at AirTight Design to deliver a “playful while still being professional” website. As the lead designer, it was important to make 2 things clear: this company is transparent about their pricing and safety is a priority. Additionally, they requested that a contact form for a free quote was always visible. We achieved this with a form fixed to the bottom of every page. With the company logo being the only asset given to us, it was clear that a vector illustration style should be carried throughout the site. 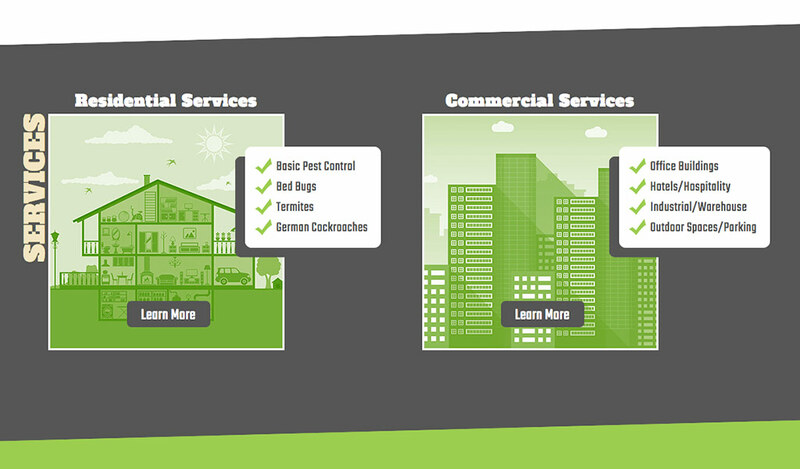 One of the better examples of this is the Commercial and Residential Services blocks on the homepage. With each new site, one thing I enjoy doing is using a new design feature that I haven’t used before. For this project, I introduced the angled panels. This simple effect is eye-catching, and works nicely with the illustrative style shown throughout. 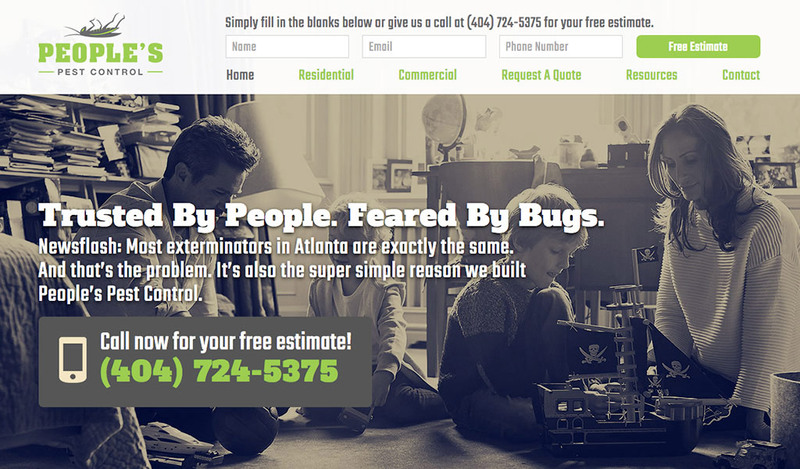 So what makes People’s Pest different that all of the other companies? That question presented an opportunity to graphically show where those differences exist. To do so, I proposed a comparison chart that demonstrated the additional pests that People’s exterminated while their competition did not. As it turns out, there were too many pests to list with too many other companies to compare to, and ultimately the idea was scratched.